Welcome to the party! Thank you so much for stopping by to join us. I can't wait to see what everybody has been up to this week. The Red Painted Cottage shared her beautiful cozy winter decor. The Scrap Shoppe shared how to make this adorable winter chalkboard platter. 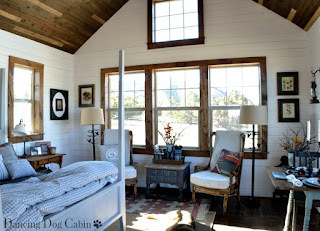 Dancing Dog Cabin shared this fabulous cabin transformation reveal. Abbotts At Home shared how to create this DIY tray ceiling modeling and paneling feature. 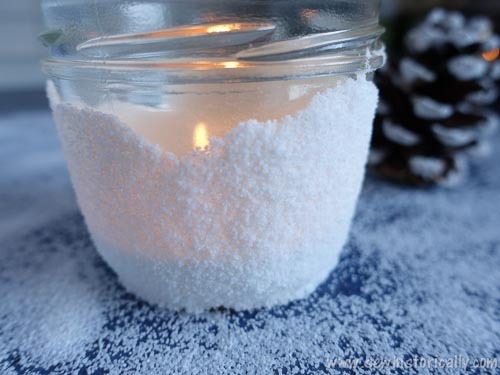 Sew Historically shared how to create snow covered Mason jar oil lamps. Comfort Station shared a great way to create this chalkboard vignette sign. 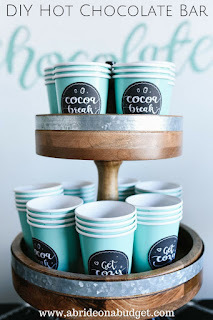 I love this fun DIY hot chocolate bar by A Bride on a Budget ! 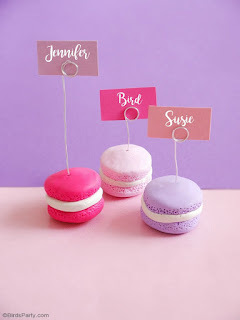 I love these DIY Macaron place-card holders by Bird's Party! 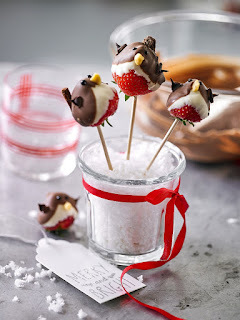 These Strawberry Robin Lollipops by Claire Justine are too cute! 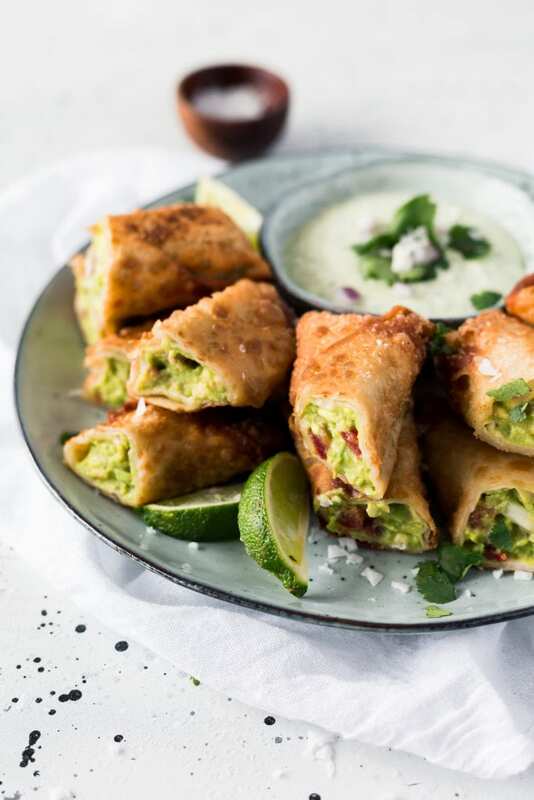 Pretty Extraordinary shared these easy game day appetizer Avocado Egg Rolls. YUM! 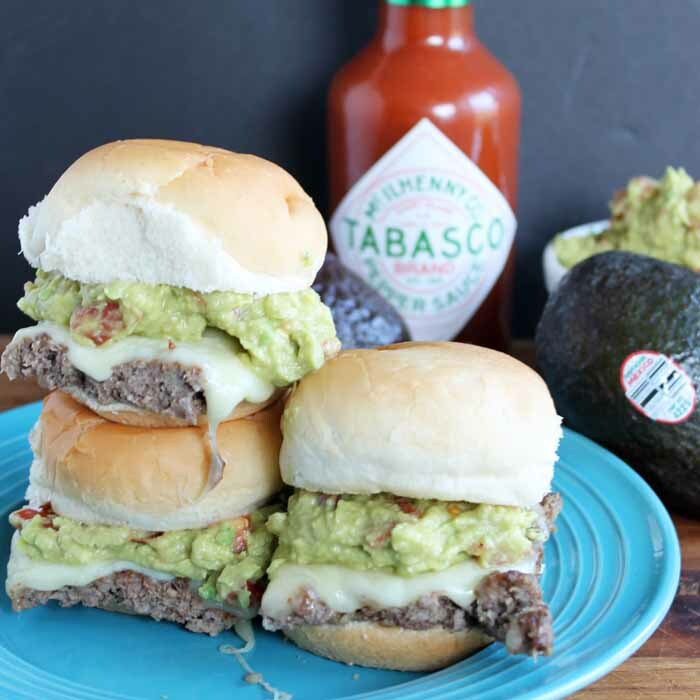 This Avocado Spread with Tabasco for burgers by The Country Chic Cottage look so delicious. Living on Cloud Nine shared these Party Sliders that look and sound amazing. 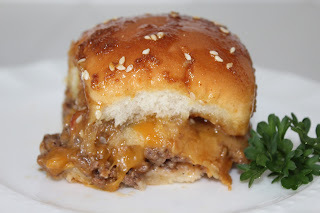 How I appreciate you sharing my Party Sliders! I look forward to this party and your fun blog posts each week! Have a wonderful weekend! Thanks for featuring my chalkboard sign and for hosting each week. Thank you Kathy for hosting your 281st Bouquet of Talent, always appreciated. Keep cozy. Thanks for featuring my tray ceiling. Have a great week! Thank you so much for hosting another great party Kathy, have a fabulous week!! Thank you for featuring our cozy winter home and for hosting every week! Thank you for featuring my cabin reveal post!